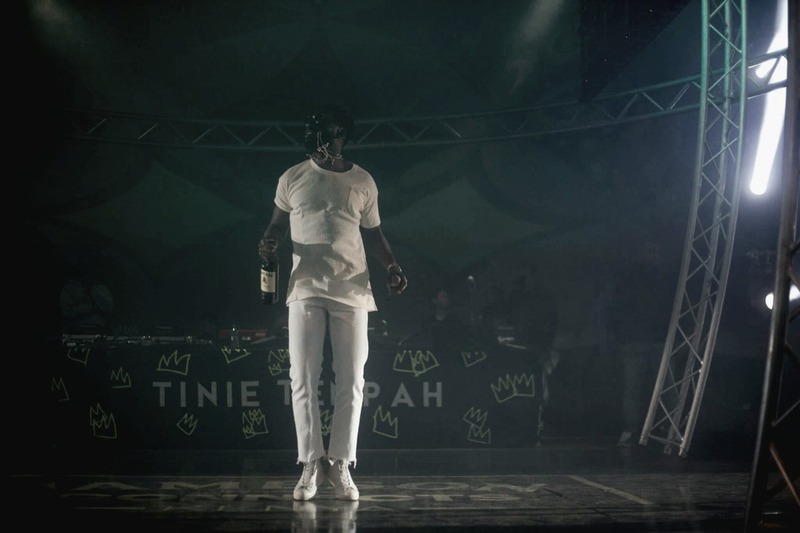 With anticipation for his sixth album, “ Youth,” mounting Tinie Tempah made a surprise pit stop in Kenya this past weekend with UK DJ wonder Tim Westwood. 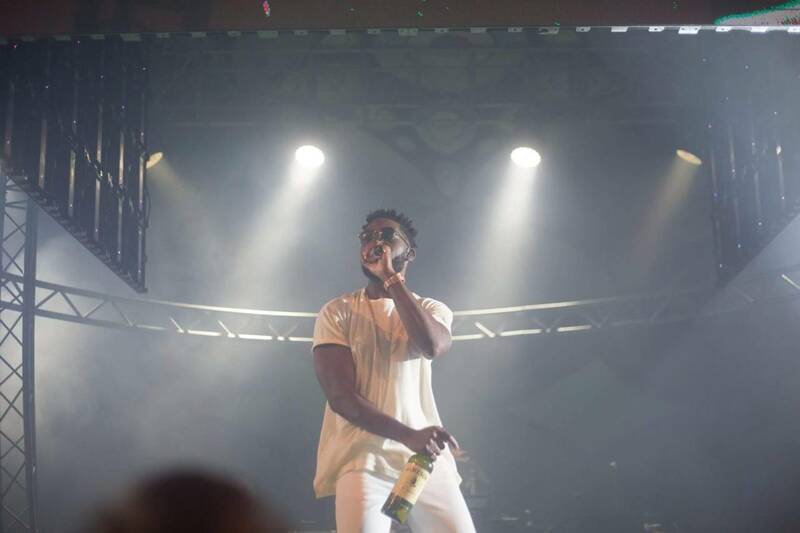 Jameson the popular Irish whiskey brand brought the two UK staples to headline a concert at Nairobi’s Carnivore. Africa is no stranger to Patrick Chukwuemeka Okogwu, better know as Tinie Tempah. His Nigerian parents who often played music by Nigerian greats such as Shina Peters raised him in South London. Growing up in London with African heritage proved to be challenging at time. “I’d say we faced obstacles that all a lot of people face trying to find their identities in a wider space. Growing up [African] in the UK they try to put you in a box,” Tinie Tempah said at a news conference at Nairobi National Park. He came on stage cool as a cucumber in an all white ensemble and signature owl glasses. Whenever an artist whose music powers your workouts or keeps you dancing late into the night perform there’s always a sense of worry. Will they have the same energy? Was it all the magic of sound engineers? From the moment Tinie launched into his first song all doubts eased. The stage was simple and he didn’t need much as his energy rocked every corner of the set. The crowd pushed against the barricades with girls screaming his name hoping he would take notice. A lady got a hand brush, and the scream of elation she released was ear shattering even in the noisy setting. But one didn’t need to touch Tinie or have him gaze your way to feel that same joy. His energetic and focused performance made you feel like you belonged to some special club. Bodies never stopped dancing against each other. Jameson tastefully set up the main stage. With big name performers the stage can at times be set up to make the audience feel a gap, a reminder of who’s in the position of power. But Jameson was able to give the feel of an intimate café while respecting the gravitas of the performer. He gave the crowd energy but the crowd also gave him plenty back. When there was a slight audio hiccup for, “Written in The Stars,” Tinie didn’t need to worry, because he had a group of backup singers in the crowd singing every word of the song. A smile of surprise spread across his face as a Kenyan audience belted out his song. Maybe globalization isn’t all bad? The crowd favorite was, “Mamacita,” a collaboration with Nigerian wonder kid Wizkid. Tinie Tempah had to take a backseat as all the mamacitas let out their best dance moves to Wizkid’s verse. Like his hit song, “Girls Like,” suggests he indeed does know what the girls like. The performance came to a close with pyrotechnics and a confetti bomb. Sometimes these can be a cheap trick to distract from a lackluster performance. But as the last piece of confetti fell from the sky nothing could have better described the feeling one got from watching Tinie Tempah perform. The one-hour performance felt short and left the crowd hungering for more. It got a healthy serving of DJ Tim Westwood. Westwood is a presence on the UK radio starting off in the 80’s at LWR, then moving on to becoming the longest-serving presenter for Radio 1. He owned the Nairobi night just as well keeping up with the ferocious Kenyan appetite for a good party.